A few light clouds were welcome on this hot day for Liz’s bridal portrait in the Rock Quarry Garden in Downtown Greenville. Diffusing the hot sun softened the daylight just enough allowing us to add flash in a softbox for some subtle directional light. We had a GREAT time with Blake and Courtney on their wedding day! 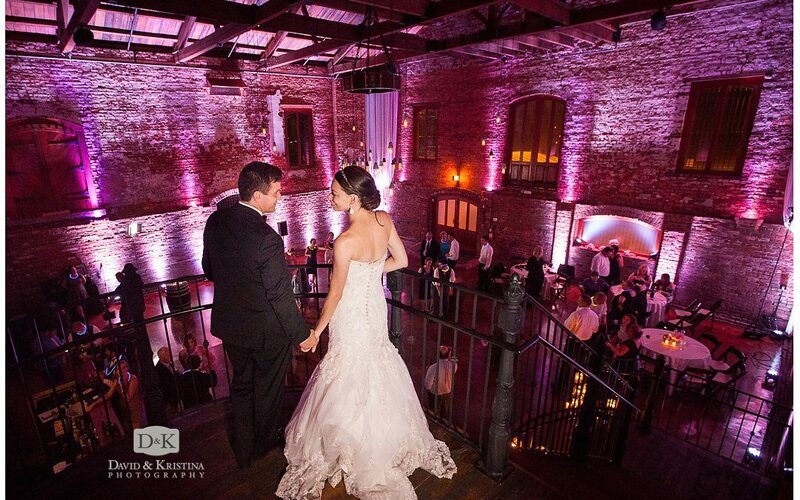 The wedding ceremony was at The Rock Quarry Garden, followed by a Greenville Drive Fluor Field wedding reception. Blake was as laid back as they come, and he and his groomsmen looked quite stylish in their navy suits. Most guys don’t like getting photos done, but Blake was game for just about anything…he and his groomsmen all wore Superman socks just so we could get a cool photo. Talk about attention to detail! Courtney was certainly a bride with a vision when it came to planning her wedding. Just wait till you see all the cool arrangements, decorations, and other elements that came together to make this wedding beautiful…there was even a pig, named “Pickle” (yes that’s right, a PIG) greeting guests as they entered the wedding ceremony area of the Rock Quarry Garden. If that wasn’t enough, their bulldog, “Tank” was the ring bearer. I know…so cool! Courtney placed a flower arrangement in the basket of her great grandfather’s old bicycle as a memorial next to the ceremony site. 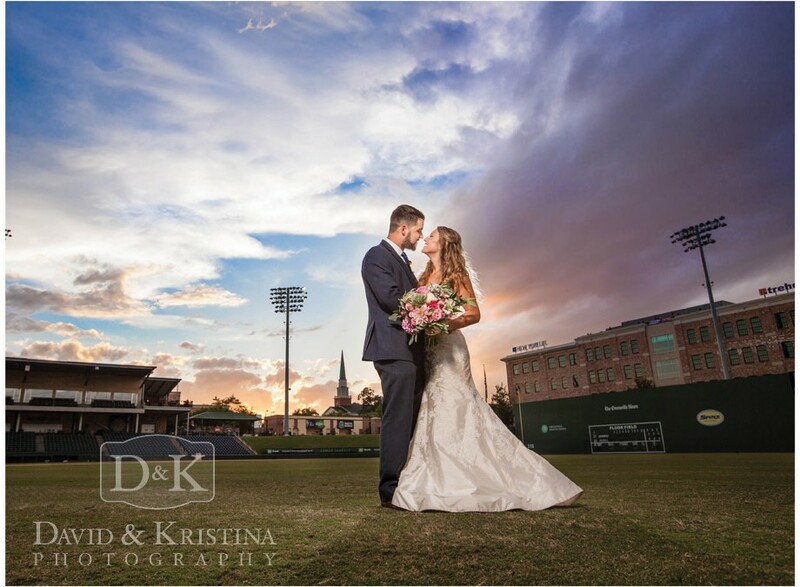 The bridal party entrances to the reception were done on the Greenville Drive baseball field as family and friends cheered as Blake and Courtney walked up the stadium steps to their wedding reception at the 500 Club at Fluor Field. After some great food and dancing, we got to go out on the baseball field for some AWESOME sunset shots! Guests got to enjoy games like corn hole, a DIY photo booth, and a giant dice game.